Here’s a fun way to amuse yourself on this sleepy Monday afternoon: Supper Mario Broth, an old tumblr page that’s full of cool Nintendo art, screenshots, and trivia. 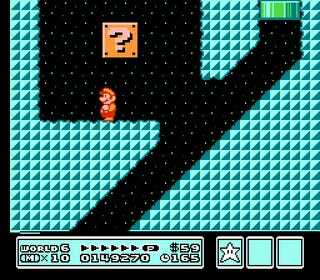 As Supper Mario Broth explains, you can’t actually slide down a hill while you’re wearing the Hammer Suit—ducking to slide will just make you go into your shell. But Nintendo made an animation for the Hammer Suit’s slide, just in case you happen to get the power-up while you’re already on a slope. Rad, don’t you think? Another fun fact: one of the doors in Super Mario Galaxy was actually a sign.